Do you want to run Android apps and games on Windows PC to enjoy the android game in large windows PC’s display then you’ve landed on the right place. If you have a Controller device and Windows PC then you can experience Android games on Windows PC. It doesn’t matter how good is your PC because of Android App size is so much lower as compared to Windows games, right. You can easily play any Android game on your Windows PC by using BlueStacks Android emulator Software. In this Post, I am going to Show you How to Run Android Apps and Games in Windows PC. You don’t need to install any other operating system or dual boot your system. In fact, just one windows software will run your all android games and application in windows. 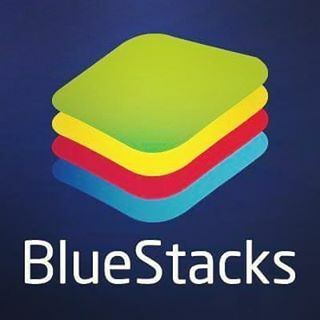 Bluestacks is the free Windows software allows you to run android games and application on your Windows PC. It doesn’t replace your entire operating system. Instead, it runs Android apps within a window on windows desktop. This allows you to run Android apps just like any other program. Bluestacks is the best software compared to all the alternatives available right now. This is a solution for running Android apps on windows. You can use this software very easily because of his good user interface. This is the fairly oldest and the best software available for free, just download this software and enjoy android apps in windows. Go to the Bluestacks official Website and download the software. The Bluestacks Official download Link is provided below in the post. So, simply downloaded the setup file and follow the installation process. Bluestacks installation process is similar to installing any other software in Windows PC. In order to run any Android Apk on Windows, you need to save the Apk File on Windows. If you don’t know how to get Apk file from Installed Apps on Android then read this post. Now once you get Android Apk file, Move it from your Android to Windows PC. You can do this using USB Cable, right. Once your Apk file moved to Windows, Simply right click on the Apk File and select bluestacks and your game will start. Once you open the Apk file on Bluestacks, then you don’t need to follow this process again. Just open Bluestacks and you’ll see your game is right there. Open it and start playing it.